When Thomas had his first seizure in 2013, he was rushed to the Emergency Room at Batson Children’s Hospital where he was diagnosed with epilepsy. In 2015, Dr. Brad Ingram became Thomas’s neurologist. “He has been the biggest blessing in our lives,” said Thomas’s mom, Caroline. “He put Thomas in a dedicated epilepsy unit for a week and studied him.” Dr. Ingram changed Thomas’s medicine, and Thomas celebrated a milestone in July 2017: one year completely free of seizures! 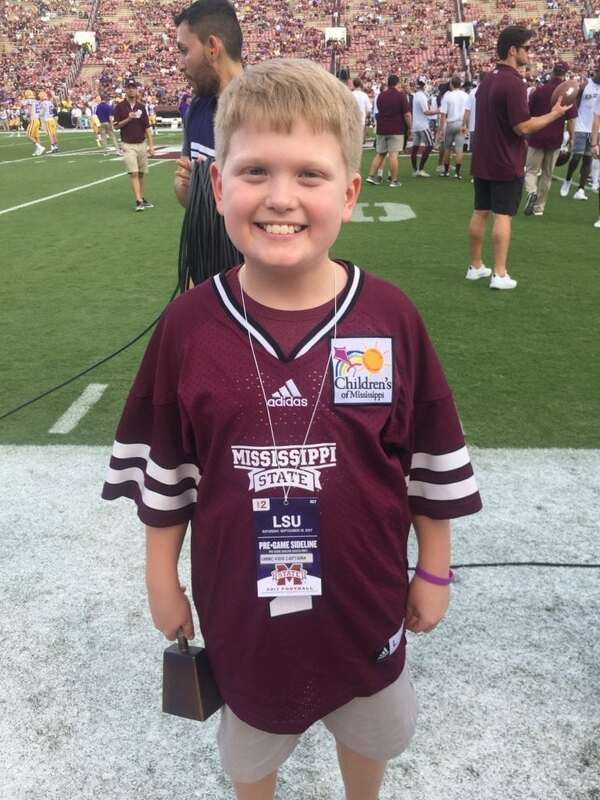 Thomas loves playing baseball, cheering on his Mississippi State Bulldogs, and giving back to other kids like him. Inspired by his weeklong stay for monitoring, Thomas’s grade at Madison Ridgeland Academy started collecting backpacks for the epilepsy monitoring unit. They have collected over 1200 “Backpacks for Batson” for kids to carry their monitoring equipment around when they stay for the same study.